Wondered whether You ever have a question, what is the preferable tool to have at home? If Yes, then You will certainly turn our gaze in the direction of screwing. Despite the fact that handbags have a lot in common with the classic drill, in fact it is independent of hand tool that is sensitive makes our lives easier. Screwdriver – thing needed, and on the production and completely irreplaceable. To ignore such a useful tool we just couldn’t, so today the highlight of our “program” was exactly it. What is important to focus on while choosing a new screwdriver? How to choose a model with optimal performance? The answers can be found in our material. The purpose of the existence of the screwdriver is that it helps you quickly and without hassle to perform the installation of various fasteners. To work with screws, screws and self-tapping screws were designed this type of tool. Screwdrivers equipped with a special quick-change chucks for bitswith hex shank. By the way, there are combined with drill modelswho know how to drill and even operate in the impact mode. A full drill or a drill of course, they will not replace, but make a small hole in the brick wall or to drill a work piece is easily. Having a quite simple functionality, screwdriver frees us from the routine of driving all kinds of screws and bolts. And one thing, if they need to spin ten times in six months, and what if have to do it more often and large volumes? In this (and only this) case, the screwdriver helps us sensitively, saving time, and keeping our nerve cells. Most companies that manufacture hand tool, divide their products into two fundamental classes – home and professional. The functional differences between them usually are not great, but they lie absolutely in other. Usually professional models use highly wear-resistant components, allowing to use the device with surprising frequency and duration time. The so-called “home” uniforms of the constant and long load are not calculated. Another important aspect is the price issue. Machinery for professional use will cost about two to three times more expensive. But if You are seriously working on repairs or constantly working in the Studio, You will need a reliable and durable tool. In this case, to choose a better model of the Pro-segment. Professional screwdriver will allow you to work more, and repair and service demand will be significantly less. Accordingly, the acquisition will pay off faster. On the other hand, if the instrument does not need every day, but only for recurring small jobs around the house, to pay for monumentality hardly makes sense. Household screwdrivers no less functional and convenient, but in case of breakdown the repair of the device will cost much cheaper. There are several subclasses of screwdrivers that can be put in a separate lineup. It is narrowly focused tools that perform specialized tasks. These include driverswho do not have high power, but very compact and convenient. 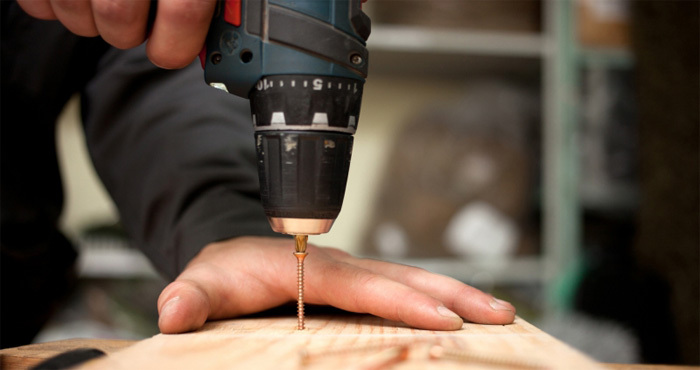 They will especially be useful if You constantly have to tighten a myriad of bolts, and screwdrivers, just sore hands. Some devices even have a belt feed screws. Spun one, and the second is ready. Even some representatives of the mono-functional devices – wrenches. They are sharpened to a reliable tightening the screws, and with network models of higher power can and does work for a HUNDRED when you replace the wheels. Among them there are models for use in remote places. For example, impact wrenches with a curved shaft at 90, make it possible to work even in very confined spaces. This is probably the second most important question you have to answer for themselves when selecting a new working tool. Just note that the network of screwdrivers on the market for much less than the battery. Screwdrivers, working from the network – this is mostly a household model, the main feature of which is the attractive price. As we have said, they are suitable for short and periodic homework. As for the rechargeable models, it’s probably been a classic. Their price is slightly higher for the network fellows, but among them there are both household and professional models. Their main advantage – mobility and ease of use. About continuity don’t worry, every self-respecting manufacturer equips screwdriver, two removable battery. While one is in operation, the other one is on charge. READ Rumors about the new Motorola Moto X4 soon? You left off on rechargeable drill? Wonderful! Now we can talk about those batteries. They have three main parameters: the type, capacity and voltage. Let us examine each in more detail. The screwdrivers use two types of batteries – Nickel-cadmium and lithium-ion. Most screwdrivers are working on Li-Ion batteries. They weigh less, charge faster and have no memory effect. These batteries are more capacious and, accordingly, the tool from one charge will last longer. Nickel-cadmium batteries in almost all inferior to lithium-ion – they are heavy, long charge and also fairly quickly lose efficiency. But one advantage to the old technology is still there – screwing with such panels it is possible to work in the cold, because at low temperatures Ni-Cd power supplies do not lose their capacity and current. Capacity is perhaps the main parameter for battery. The higher it is, the more Autonomous the device is and the longer it is possible to not think about the need for regular charging. In the middle price segment often presents a screwdrivers with a capacity in the order of 1-2 A/h. This figure will provide the device with an average load in the area of 1-1. 5 hours. During this time, the second battery time to charge. There are models of drills with batteries and up to 11 A/h, but such solutions are quite expensive. When choosing the battery capacity we recommend to use the following rule: 1 A/h will last about 1 hour of operation. Another important parameter of a battery is its voltage. It determines the power of the tool and can vary from 3,5 to 36 V. Battery with a small voltage not designed for high loads and are mostly used in elektrotvarka. In most household screwdrivers set of batteries with voltage 12 – 16 V, power which is enough for most household tasks. Professional models can use battery with voltage 20 – 36 V, providing unprecedented power screwdriver and the ability to set a large enough fasteners to a hard surface. What they say in the screwing rotation speed and torque? With the speed everything is easy – low rpm are used for tightening fasteners, and high mainly use for drilling. In most modern handbags these speeds just two. First gear usually runs in the range of 800 Rev/min, the second – about 1500 — 2000 rpm. On the market there are models with a wider range of speeds (up to 5000 rpm), which for the most part required for drilling materials of different hardness. In screwing such figures are rare – after all, the function of drills in this secondary. Torque is far more important characteristics when selecting tools. It represents the force with which the screwdriver can tighten the fasteners. What this power is higher, the longer screws can screw into a more solid surface. This value is measured in Newton-meters and for most of the models ranges from 10 to 30 nm. This figure is more than enough to wrap a 10-cm screw into the tree. There are more efficient solutions, most of which are found in the professional segment – in which the torque can reach 100 N∙m. for Example, when mixing mortar or drilling large diameter holes, such handbags have become indispensable. But that’s not the limit. Impact wrenches, for example, can make efforts on tightening up to 600 nm., a Hercules among power tools! Now let’s talk about ergonomics. The screwdriver is one of the few instruments that can not let go of the whole day, making them a huge number of different jobs. Than it may be easier to use and more comfortable device to lie in a hand, the less you will feel fatigue. It is better to choose models with ergonomic handle, equipped with rubber inserts. This is the first thing you should pay attention. In many models there are holders for bits, which allows you to conveniently store interchangeable tips for the tool. Very good Supplement in screwdrivers – built-in flashlight to illuminate the workspace. What you need in the dimly lit room. In many respects such trifles and it seems comfortable work. To base your choice only on such chips, of course, is not necessary, but to neglect them is not desirable. A screwdriver is not a luxury but a means of optimizing the workflow. This seemingly simple tool can help us in a variety of situations. And at small works, and during large-scale repair. We hope our recommendations will help You pick the perfect battle buddy, which will last a long time. You are reading an article on the How to choose a screwdriver: important parameters. All materials on the site Gadgets F, а также и статья How to choose a screwdriver: important parameters - written for the purpose of information enrichment and we are happy if you like our magazine.